Mick founded Abergeldie Complex Infrastructure in 1994, and was the Managing Director until 2015. He is now Executive Chairman, and heavily involved in the growth of Abergeldie across new engineering sectors and into new locations. 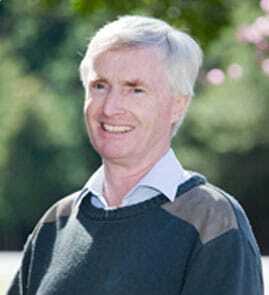 Mick has a Bachelor of Engineering (Civil) from Sydney University. 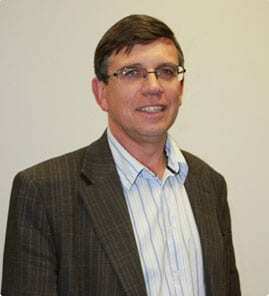 He began his civil engineering career in 1982, initially with major contractors Dillighams, White Industries, Thiess and Costain, working on mining, marine and large infrastructure projects in Australia and, for several years, in England and Scotland. His roles included field engineer, site engineer, project engineer, and project manager. His outstanding skills in financial management, innovative engineering construction, team recruiting and team building allowed him to start Abergeldie and build it into the success it is today. Mick has been the president of the NSW Civil Contractors Federation since 2015, having been the vice president since 2009. He is also a board member of the National Civil Contractors Federation Australia, and Chairman of the Council for Civil Engineering at Sydney University since 2016. Greg Taylor was appointed to the role of CEO of Abergeldie Complex Infrastructure in 2015. Greg has over 25 years’ experience in leading and delivering some of the most challenging, demanding and complex infrastructure projects around Australia and Asia. Greg has over 12 years’ experience as a business leader in the position of Business Unit General Manager with P&L responsibilities working across John Holland, one of Australia's largest construction/engineering contractors. 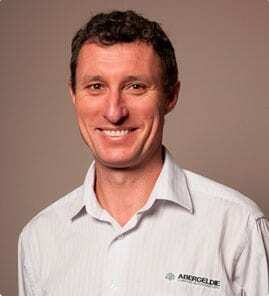 Most recently, Greg’s role involved securing and delivering tunnelling, water, marine, resources and power projects across Australia, Asia, New Zealand and the Middle East. 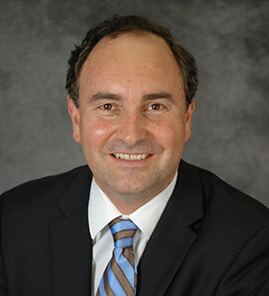 Greg initiated the John Holland Water and Environment business unit, which grew from turning over $50M in 2002 to delivering over $800M of infrastructure per year. The unit delivered the most reliable and highest returns within John Holland. 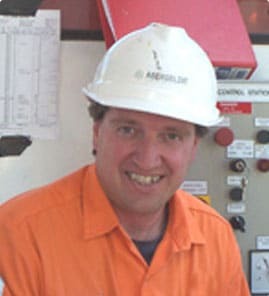 Greg commenced his career with Transfield in tunnelling operations for the Sydney Harbour Tunnel and has been involved in project management and project leadership positions on a number of iconic projects such as the Sydney Olympic Stadium/venues, desalination plants in Qld and NSW, blast furnace construction for BHP and the world’s largest waste sludge incineration facility in Hong Kong. His credentials in the successful management of complex engineering projects and EPC delivery are exceptional. Mark is a Chartered Accountant with 30 years' experience in corporate administration, financial and commercial management, accounting, audit and taxation. Prior to joining Abergeldie in mid-2012, Mark was CFO of Total Communications Infrastructure (TCI) for 14 years, guiding the business through a substantial growth period, from small private entity through to IPO in 2004. Following a period as Director of the ASX listed TCI, Mark managed the company through its merger with the Service Stream group in 2007, its integration into the group and continued growth thereafter. Earlier in his career, Mark had extensive experience in the Chartered Accountancy profession both locally and overseas, spent 3 years as an internal auditor with TNT Australia and 5 years in a commercial role with TNT’s international aircraft leasing business. 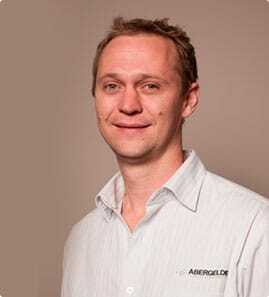 James joined Abergeldie as a Project Engineer in 1999, bringing a strong background in project planning, document control and contract management on major projects for Tier One contractors. His project management abilities were soon applied to a very broad range of Abergeldie projects, including mining infrastructure, roadworks, pumping stations, bridgeworks, wastewater treatment plants, marine works, rail infrastructure and general civil construction. His unusually acute understanding of the broader implications of individual construction management decisions quickly marked him for advancement to more senior roles, including oversight of construction management on Queensland, ACT and southern NSW projects. In 2010, James assumed the important role of National Operations Manager, providing leadership and support to Construction Managers and their teams to ensure timely project delivery to the required standards. In October 2014 James advanced to the role of General Manager and now oversees construction management of projects greater than $50 million across the business. Matthew leads the Abergeldie Watertech business and has been a member of the Abergeldie since 2008. Matthew oversaw the successful purchase and subsequent integration of Kembla Watertech into Abergeldie in 2014. From 2009 till 2014, prior to joining Watertech, Matthew managed the plant and equipment division of Abergeldie. Matthew oversaw increases in regulation compliance and volume in the plant and equipment department as well as managing many self-build projects. Through his career Matthew has developed very strong management skills including significant experience managing multidisciplinary teams, carrying out high value projects for a range of stakeholders. Importantly Matthew has developed an excellent understanding of what is required to manage diverse teams across multiple sites to deliver projects that exceed expectations. Matthew has a Bachelor of Science, a Graduate Diploma in Education and Training as well as multiple equipment licenses and competencies. 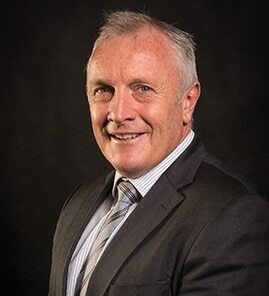 After a three-year association with Abergeldie in a consulting capacity, Ian joined the Board of Abergeldie Holdings Pty Ltd as a non-executive director in August 2009. He brings to his role broad experience and highly developed skills in business strategy, planning, corporate finance, leadership development, mergers and acquisitions. Ian has helped Abergeldie’s Board to set clearly defined objectives for the management team, enabling the company to create value by ensuring business strategy has a sharp financial focus, balanced with the needs of all stakeholders. John Zeni is chief technical advisor to the Abergeldie mining team. The expertise John has built over more than 35 years of designing, manufacturing and working with large diameter, blind bore shaft drilling rigs has been invaluable to Abergeldie and its many mining industry clients. Abergeldie owns and, with John as advisor, operates four of the world’s largest diameter and most technologically advanced blind bore shaft drilling rigs. 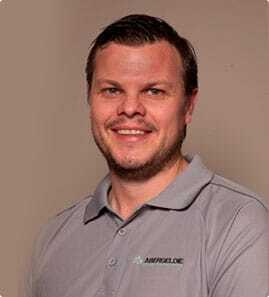 John has managed more than 100 large diameter shaft drilling projects in Australia, the United States, Papua New Guinea and Europe, as Technical Director for companies like Zeni Drilling, Rock Well Petroleum and Ardent Underground. Some recent projects to which John has contributed include BHP’s Dendrobium mine in 2002 and 2007, Centennial Coal’s Springvale mine in 2004 and Peabody Energy’s North Goonyella mine in 2006. John has had technical papers have been published by the Australasian Institute of Mining and Metallurgy, the Society of Mining Engineers, World Rock Boring Association and the Rapid Excavation and Tunnelling Conference. John has also lectured on shaft drilling technology. Michael was the owner John Young (Kelvinhaugh) Pty Ltd, a company specialising in the installation of process plant and associated mechanical equipment and services. Projects have been successfully completed for companies in the fields of fuel distribution and reticulation, water and waste water treatment and general process plant installation. In 2008 after a 10 year association John Young (Kelvinhaugh) Pty Ltd was acquired by Abergeldie Complex Infrastructure™; process operations continue as Abergeldie Young Process Engineering.